Is it time to rethink disruption as usual? Blog Is it time to rethink disruption as usual? Much of the discourse around disruption has treated it as a threat, a trend to guard against or grudgingly accept. And while it’s true that disruption has created challenges for industry incumbents, it has equally been a source of empowerment for many consumers, businesses and investors by creating new ways to connect, collaborate and create value. Now in its 22nd year, the Credit Suisse Asian Investment Conference (AIC) will showcase world-leading experts from across business, finance, economics, politics and technology delivering insights on the theme of ‘Disruption as usual’. Taking place from March 25-28 in Hong Kong, this year’s AIC will bring together more than 3,000 attendees, including over 2,000 representatives from the global investment community and over 300 companies, to explore how investors can capture the opportunities from disruption. A decade on from the global financial crisis and monetary policy still has the capacity to create new shocks. Markets’ positive reaction in January to comments from the US Federal Reserve that it is willing to adjust the pace of its balance sheet reduction shows that investors remain concerned about the end of quantitative easing. Meanwhile, the increasing willingness of politicians to criticize the decisions of central bankers creates problems for independence and credibility. At this year’s AIC, Dr Janet Yellen, Distinguished Fellow in Residence at the Brookings Institution and former Chair of the Board of Governors at the Federal Reserve System, leads an exceptional line-up of US central bank experts, with Charles Evans, President and CEO of the Federal Reserve Bank of Chicago, and Eric Rosengren, President and CEO of the Federal Reserve Bank of Boston, who will share their insights on the challenges ahead. Geopolitical disruption is singularly value-destroying except for defence contractors. A US-China cold war, the greatest geopolitical disruption since the fall of the Berlin Wall, will be a calamity for investors because it will change the global economy beyond recognition. And as the tremors caused by the clash between the world’s two biggest economies continue to ripple across the globe, the former Australian Prime Minister, Malcolm Turnbull, will share his thoughts on whether democracies can survive the proliferation of social media. When it comes to the health of democracies, Malaysia is one country where the system is showing signs of rejuvenation after ushering in the first change of government since independence. From cancelling Chinese-led infrastructure projects to pursuing criminal charges against the country’s former prime minister, the new government is making radical changes. Discussing whether Malaysia’s leadership is taking the right course of action and what these changes mean for investors will be an eminent group of panelists from Permodalan Nasional Bhd, the Securities Commission Malaysia, Khazanah Nasional Bhd and Bursa Malaysia Bhd. And with Indonesia getting ready for a landmark general election in April – the first time ever that the president, vice president and members of the Assembly will be voted for on the same day – Sri Mulyani Indrawati, Indonesia’s Minister of Finance, will share how the country is charting its route to become one of the largest economies in the world. While political disruption can cause market instability, disruption in technology is typically viewed as a huge source of value creation — at least for the companies doing the disrupting. Nowhere is this upheaval more visible than in financial services, a topic that Cyril Han, Vice President at Ant Financial, knows all about. At the AIC, Han will share his thoughts on what’s next for the fintech revolution. Not only is China one of the leaders in financial technology, but it has also become one of the world’s leading biotech nations. Discussing the trends and future growth opportunities for the sector will be Jasmine Cui, President and CEO at InnoCare, Hui Feng, COO at Shanghai Junshi Biosciences Company Limited, and Scott Liu, Co-Founder, President and CEO of Shanghai Henlius Biotech Inc. Meanwhile, education is also entering a new era as courses move online, and students seek greater interaction and flexibility. Schooling the AIC audience on the future for online education will be Byju Raveendran, Founder and CEO of Indian unicorn BYJU’S. And speaking of unicorns, entrepreneurs and analysts will share their experience with the AIC audience on how to spot the next US$1 billion-value start-ups in China and Indonesia. Technology may have the power to improve the human mind, but the biggest changes are occurring within digital brains as artificial intelligence (AI) moves into homes, businesses and government, with many exciting applications including robotics. Bing Xu, Co-Founder of SenseTime, one of the world’s most valuable AI start-ups, and Richard Tang, CFO of CloudMinds, a developer of cloud AI and robotic solutions, are perfectly positioned to discuss how innovation in AI will transform our lives. And cloud computing is also powering the rise of e-sports, bringing gamers and spectators together around the world. Hua Fung Teh, Group President at ONE Championship, Min-Liang Tan, Co-Founder and CEO at Razer Inc., and Mario Ho, Chief Marketing Officer at iDreamSky, discuss how companies can take gold in this fast-evolving competitive landscape. But for all the change brought about by technology, there is perhaps no bigger disruptive force at work today than climate change. After all, the United Nations has claimed that 2019 is the ‘last chance’ for the international community to take critical action on the issue. Fortunately, the rise of sustainable investing allows markets to play an active role in tackling environmental problems. 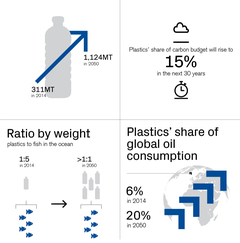 These include the fact that by 2050 there will be more plastic than fish in the ocean (by weight), according to Credit Suisse research. From the blue economy to combining profits and purpose, this year’s AIC provides a collection of panels that delve into the biggest issues and opportunities in sustainable investing.